It's no secret that I love shopping at Home Goods. It's like going on a little treasure hunt. 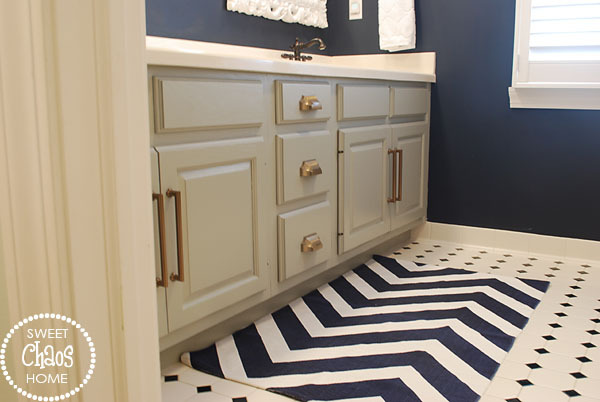 I dug up a chevron rug this week. It adds a nice finishing touch to the guest bathroom. 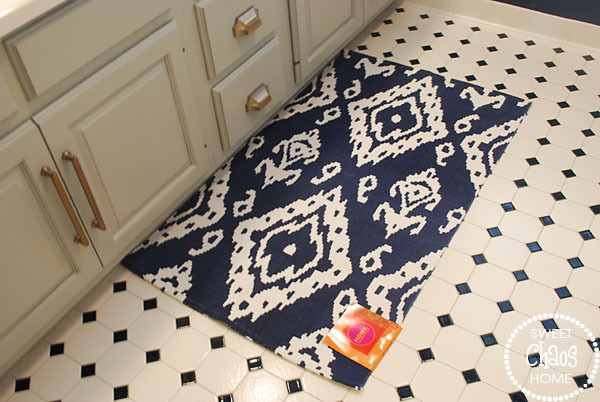 I love the pattern, but I think it looks too busy with my tile floor. I think I'll stick with the chevron. I picked up a couple of other accessories that I'll share with you soon. Yes. One (or two) of them might be a mirror. You can read about my mirror addiction HERE. Hi Carolyn! That rug is fantastic! I like both of them too but I think you made the right choice keeping the chevron. 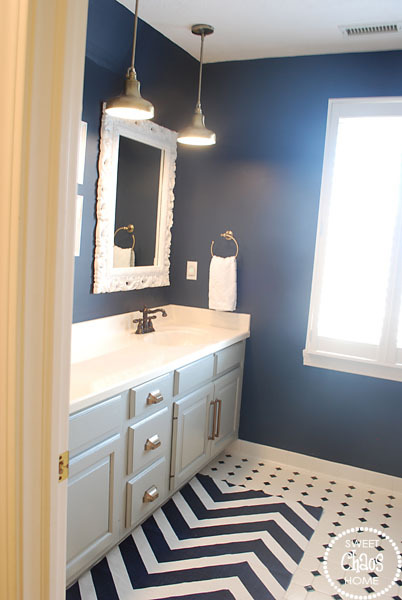 We are on the verge of a bathroom remodel...your is so pretty! I love the long hardware on your cabinet doors. Did you replace those? If so, could you share the source? Thanks! I agree...the chevron is super and a direct match! wow. Hi Carolyn! Just found your blog. My new renovated bathroom is the same color blue and white. I also got a great blue sisel rug for the bedroom at Homegoods last week. It makes me soooo happy when I find something there. Love your blog! You find the best stuff!!! I am no good at that! I swear if it doesn't jump out and smack me, I miss it! 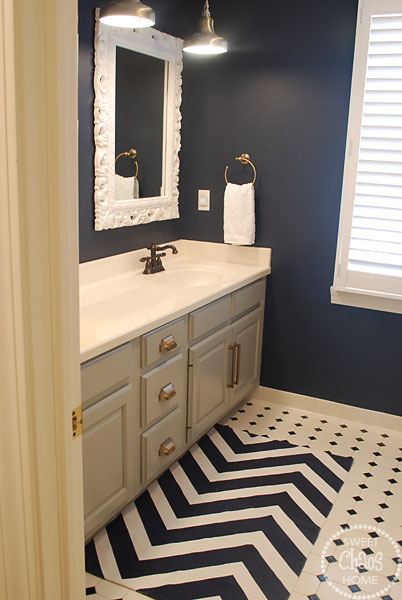 I love the chevron! Love it! The prints of the rugs you have are so cute. I did a similar thing in my house with red rugs .